Enjoy a small, intimate tour in the heart of one of the world’s most powerfully spiritual places. Day 1 Flight day from the United States, all U.S. flights to Europe are an over night trip across the big pond. Or if you arrive a day early you will have a day of rest, time to walk around Bugarach and dine in la Maison with cuisine from one of the local French chefs. Day 2 Pick up from Toulouse Airport, in Blagnac, France, arrange your flight to arrive before 1PM. We will enjoy a two-hour drive to the Bugarach area in Southern France with lunch or pastry break along the way if needed in Limoux or Couiza. 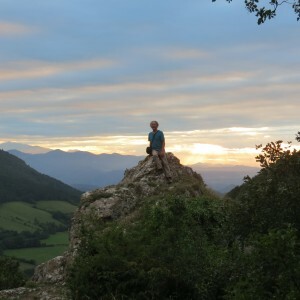 Then out into the country, in the foothills of the Pyrenees driving into the small town of Quillan, maybe a short walk around town and an amazing dinner. 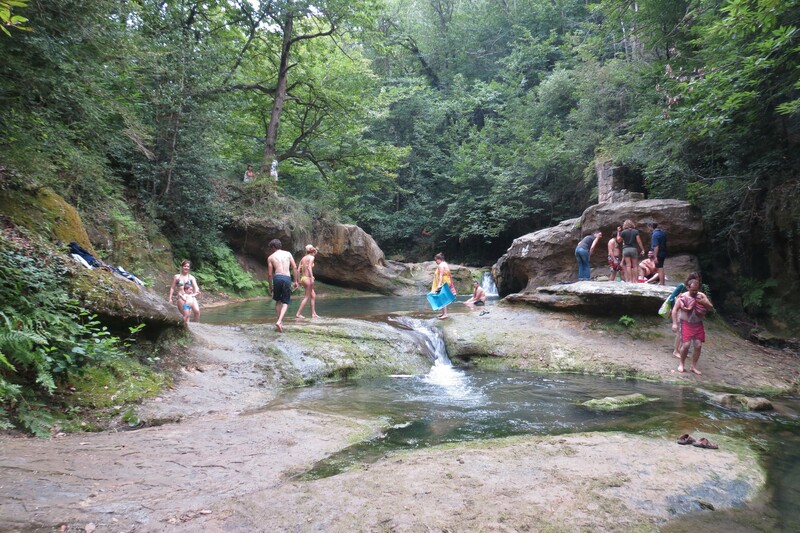 On the first day of travel we go down the road ten kilometers to The Gorge De Galamus and Hermitage De Galamus. Enjoy an easy stroll along the gorge looking down two to three hundred feet cliffs into the rugged limestone rock streams. The Hermitage De Galamus is a Catholic Church within a cave on the cliff side of the gorge. This heart opening, cave church has a strong presence of Mary Magdalene, some psychics swear her presence is so strong it must have been one of her ceremonial places. 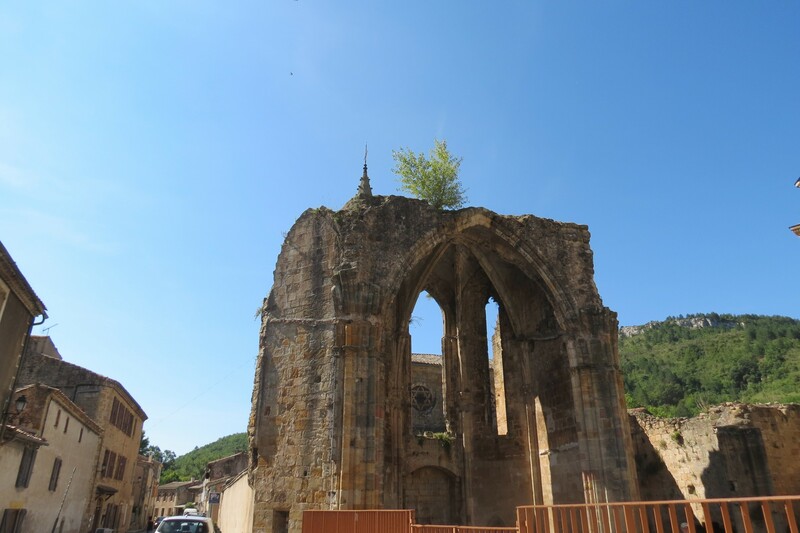 Day 3 We will take a short drive through the Pyrenees foothills to “The Cave of Mary Magdalene” where legend says she lived and did healings. There are actually three caves each with there own distinct presence. The most popular appears to be a cave where ancient rituals of fertility were preformed. It has the most divine feminine presence. A tour favorite. Day 4 The first of two day visits to the ancient Roman town of Rennes Les Bains and surrounding area. We will be crossing the River Sals by stepping stones or barefoot to visit an ancient stone formation. The design is most likely Celt in origin as they inhabited the area around the time of Christ and before. Next we will visit a spring of highly dense mineral water. Meditating at the spring and drinking the water is a strong activation into our second chakra. Lunch at Rennes Les Bains in the town square, there is a Brassiere and pizza place (serving Italian style). The restaurant serves hamburgers, various fried foods and salads. The owner is a home spun artist expressing his love of Rennes Le Bains through his art. The afternoon will be spent at “Fountain De La Amour”. Legend says Mary Magdalene did baptisms here. It is a heavenly beautiful place and good for a swim if you like cold water. Otherwise meditate in a fairy like atmosphere. Day 5 We will take a hour drive deeper into the foothills of the Pyrenees to the city and forest of Nebias. Most agree this is the best description of a fairy forest ever seen in France, enjoy a day trip walking in a maze of forest and limestone rocks in the presence of the fairy and angel kingdoms. Words cannot describe it. We will enjoy a picnic in the woods. 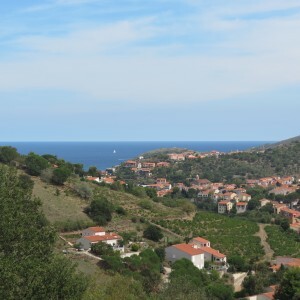 Day 6 We will drive about an hour in the direction of the coast to the small hillside village of Hulliac and visit to mountain peak fortress of Chateau De Payerpertruse. This well built fortress is a great example of the chateaus of France established in the dark ages. Within the structures are two churches, one of Mary Magdalene and the other a hill top church. Both churches still embody special powers. Lunch will be enjoyed at a local Brassiere with a vegetarian bent. To end the day we will visit another site where it was suspected Mary Magdalene did rituals. 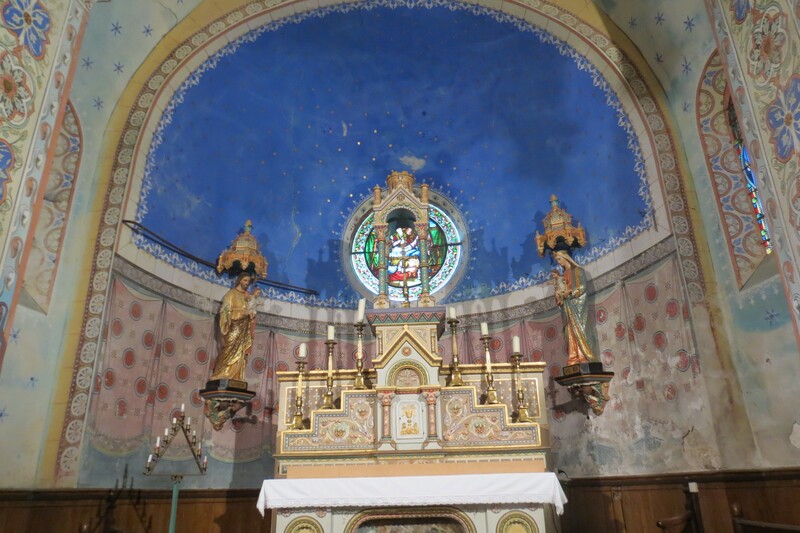 Day 8 We visit the small church in Bugarach, spirit definitely lives in this quiet church. Next we drive into the Communal Forest next to Bugarach to an ancient Celtic Stone Circle with an amazing tree as the head presence of the circle. We eat lunch at “Le Fournil De Luc” a pastry, salad and sandwich shop. The desserts are amazing, always leave room for something sweet in this organic restaurant. In the afternoon we go to Mt. Cardou, the sister mountain of Pic De Bugarach. A much easier walk but still long. The top has the strongest presence of Mary Magdalene of anywhere on the tour. Of course, all of these days are up to change depending on the interests of the tourist and the weather. Below are some other ideals. Road trip day, down south to the Mediterranean coastline of the small port town of Collure. Spend the morning and part of the afternoon eating lunch in a variety of cafes and enjoying the atmosphere of a the blue sea waters. On the return journey visit Chateau De Perillos, the ruins are legend and some French believe Jesus was buried here and later moved to another location (stories here lead to the possibility Jesus lived in France). Come to a location where a strong spiritual presence remains. Come to your own findings. If we have a rainy day, it is likely we will take this trip as it is most often sunny on the coast. Cave of Pic De Bugarach is an amazing place, the water dripping from the roof and stalagmites to create a small pool is of the highest vibration, imagine drinking the energy and consciousness of a star gate as the cave is close to the center of the mountain. Monsegur is famous as the Cathar stronghold where Mary’s fabled “Book Of Love” was held. When the Roman Catholic Army came to kill the Cathars at the chateau the book and other treasures were missing. The mystery remains of their location. Monsequir is not a cheery place but some people have to come here for historical importance. 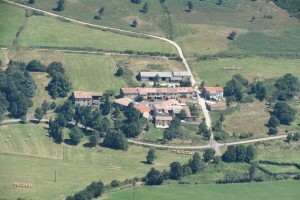 Alet Le Bains and St Salyvre. Visit an old Roman church in this small town, home of Nostradamus and visit the angel art gallery (good place for souvenirs). Up a narrow winding hill is the tiny village of St Salyvre. A former Roman church, now Catholic. French stories say Jesus died and was buried here. This is an amazing place as it is located at a mountain pass of around 4,000 feet so the views are good. Day 9 Fly home or continue your travels independently. Please schedule your departing flights from Toulouse Airport.